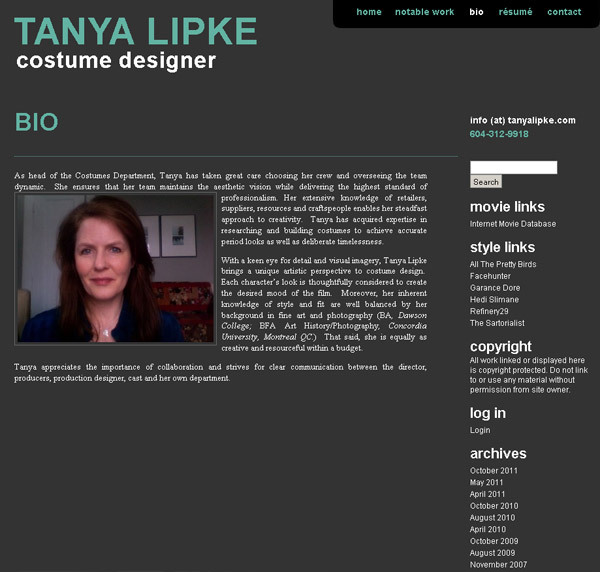 Busy Vancouver Costume Designer Tanya Lipke needed a website that she could update with news and images while on the go. We set her up with a blog-based site with a few static pages, a contact form, and a direct link to her résumé on IMDb. With a little instruction she was able to take control of the site and now manages the content herself, which saves her money and gets her latest job photos on-line as quickly as she can take them.